I started drawing and graffiti art in the middle of the nineteen eighties in Northwest London. I am what is known as a style writer, I combine 3D writing with old school techniques. 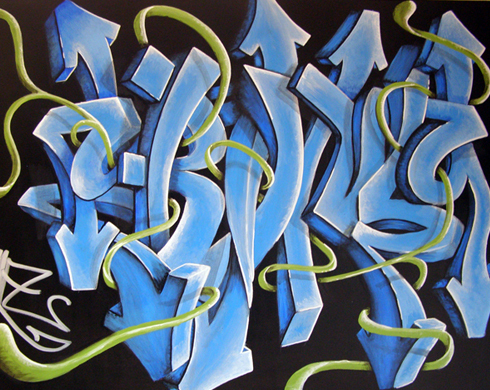 Over the years I have developed my own graffiti style through the use of various media, from spray paint to graphite and specialise in bespoke character designs. My work involves graffiti workshops with children encouraging the positive side of the art as well as private canvas and mural commissions tailored to customer requirements. I am currently developing a public art commission with Ipswich Borough Council.